The state began accepting applications Friday from those wishing to grow and sell marijuana for medical use, but when the drug might make into the hands of patients is still anyone’s guess. That will depend on how many apply for a limited number of licenses. The only piece of the timeline set for the birth of this new industry is Sept. 18. By 4:30 p.m. that day, all dispensary and cultivation applications must be hand-delivered to the Arkansas Alcoholic Beverage Control Division in Little Rock. Only then will the Arkansas Medical Marijuana Commission begin reviewing the applications. Among those interested entrepreneurs is Glenn Ellis, owner of Delta Liquors in Blytheville. “Arkansas has an opportunity to be the first at something here in the Bible Belt and to set an example for how best it can be done,” he said. He plans to seek a license to open a dispensary and expects a long wait for it. What happens after the September deadline is uncertain, Bleed said. The commission hasn’t scheduled its next meeting, but it will eventually circle back to rules for ancillary businesses like transporters, distributors and processors. A deadline will not be set for the commission to award licenses, he said. Thirty-two are available for dispensaries, five for cultivation facilities. The commission set those limits, though the constitutional amendment approved by voters in November allows up to 40 licenses for dispensaries and up to eight for cultivation facilities. The amendment required the state to begin accepting applications by June 1, but the Legislature extended that to July 1. The commission divided the state into eight zones, and a maximum of four dispensaries can be located in each zone. Dispensary applicants will be scored against other applicants seeking to operate in the same zone. There are no zones for the five cultivation centers. Bleed said they could all be in the same county if that’s where the highest-scoring applications hail from. The applications, rules and regulations for dispensaries and cultivation facilities are available on the commission’s website, MMC.Arkansas.gov, along with answers to questions asked by applicants and email addresses (but not phone numbers) for the commissioners, who were appointed in December. No commissioners responded to an email requesting an interview. Although there has been speculation about the identities of individuals intending to apply for dispensary and cultivation licenses, few have been named. Ellis, the Blytheville liquor store owner, isn’t shy about his plans to seek a license to open a dispensary. He expects licenses to be awarded no sooner than December and sales to begin in spring 2018 at the earliest. Ellis wants to build a 1,250-SF dispensary called Missco Compassionate Care behind his current business, at 1045 E. Main St. He said he could expand its processing space later, if all goes well and the market matures in 18 months, as he expects. Three or four employees will be needed to run the store. Ellis also hopes to max out the permit to grow marijuana that comes with a dispensary license: 150 plants plus 50 maturing flowering plants. He said he will be able to cater to specific markets by customizing medication, while the cultivation facilities will likely grow only two or three of the best-selling varieties. The commission set a “high bar” for the minimum requirements, but did an “outstanding job” and none of the requirements is unreasonably restrictive, Ellis said. “I feel like this is really an opportunity for us to set a high bar for other neighboring states and states in this region that at some point in the future, in all likelihood, will have a similar measure passed in their state,” he said. One of the hurdles the commission has set concerns financial stability, Ellis said. Dispensary applicants must prove they have $200,000 in assets and at least $100,000 in liquid assets. The dispensary application fee is $7,500. Those applying to grow marijuana will be held to an even higher standard: $1 million in assets (or a $1 million surety bond) and at least $500,000 in liquid assets. Their application fee is $15,000. The Arkansas State Board of Health is setting up a system the dispensaries will use to verify customers have a current registry identification card to purchase the drug. That agency is creating the rules and regulations for patients, their caregivers and testing laboratories. So far, only one testing company has announced its intention to open. 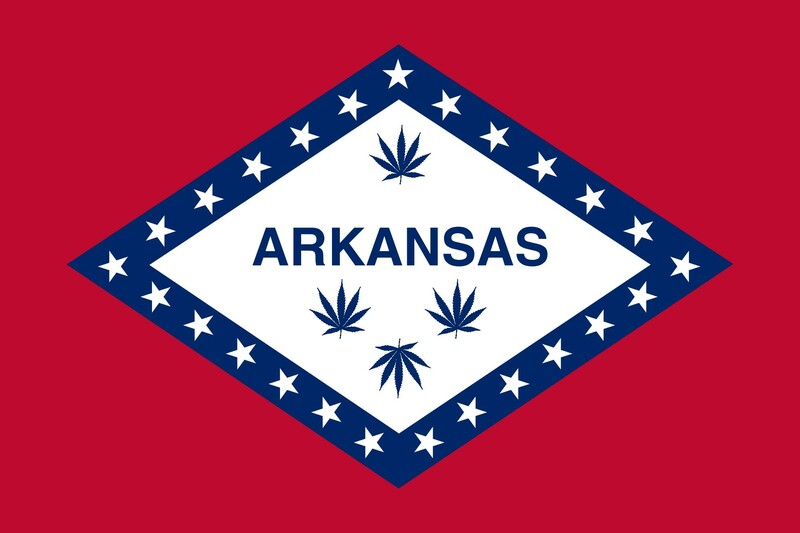 Former Windstream executive Brent Whittington and pharmacist Brandon Thornton announced last month that Steep Hill Arkansas would test marijuana for Arkansas’ dispensaries and cultivators. Randall Bynum of Dover Dixon Horne PLLC in Little Rock is representing a client — anonymous for now — who hopes to open a cultivation facility in Blytheville. Bynum has been monitoring the commission’s work since February. He expects few businesses to apply in the early days of the application period because there’s no advantage in doing so. Attorney David Couch, architect of the amendment, said he was also pleased with the commission’s work, though he intends to challenge the restriction that only patients living in Arkansas may obtain a registry card — essentially a prescription to buy marijuana. Couch said state agencies exceeded their authority by adding that restriction. While he understands their concern about people crossing state lines with the drug, the attorney believes out-of-state patients seeking treatment at nationally known hospitals like the University of Arkansas for Medical Sciences and Arkansas Children’s Hospital should have access to medical marijuana. Couch is also prepared to challenge temporary moratoriums on all marijuana-related businesses that the governments of Siloam Springs and Hot Springs approved. These, he said, are unconstitutional. The Siloam Springs moratorium has another problem: It extends past the deadline for submitting applications, which must certify that the proposed location meets local zoning requirements. Couch said the amendment he wrote allows municipalities and counties to set zoning restrictions on marijuana businesses, but it deliberately prevents them from unreasonable restrictions. A city, town or county could only ban the businesses through a local-option election. He encourages those wanting to apply for a license to operate a dispensary or cultivation facility in either Hot Springs or Siloam Springs to do so. If they hit a roadblock, Couch said he’d help them file a legal challenge. This is one reason he included zoning in the amendment, he said. It states that cultivation facilities must be at least 3,000 feet — more than a half-mile — from schools, churches and day care centers. Dispensaries must be at least 1,500 feet away from such places. Officials of the two cities have told reporters the moratoriums were adopted to give local governments time to discuss the finer details of zoning regulations. Other cities are considering zoning regulations, but without implementing a moratorium. One example is Texarkana, where the city’s planning commission held a workshop last week to focus on that, according to the Associated Press.